Register Now! 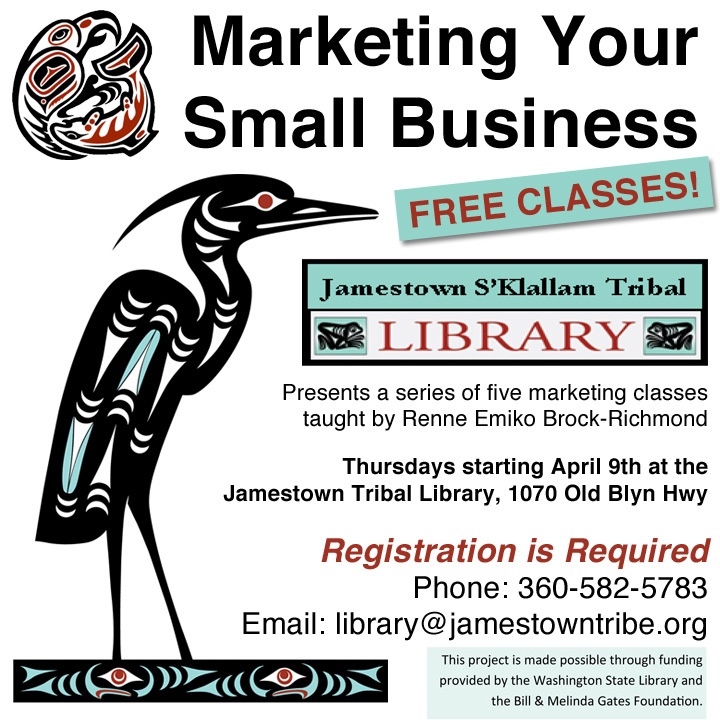 Take FREE Small Business Marketing Classes in April with me, Renne Emiko Brock-Richmond, through the Jamestown S’Klallam Tribal Library sponsored by the Bill & Melinda Gates Foundation​ and Washington State Library. Registration is Required! Contact library@jamestowntribe.org or 360-582-5783 to learn about social media, WordPress websites, and more!